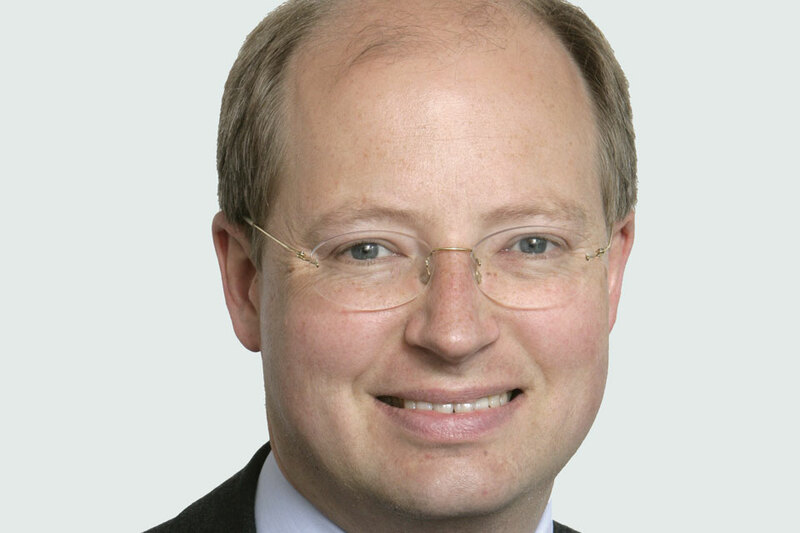 I am delighted to announce that Philip Rutnam, Permanent Secretary at the Department for Transport (DfT), will be taking on the role of Civil Service Disability Champion from the beginning of April. Philip is replacing Lin Homer in HMRC, who has been the Civil Service Disability Champion since 2011. During her time as champion, Lin has been very active and effective in supporting and leading a number of initiatives to take forward our ambition of creating a more inclusive and supportive environment for colleagues with disabilities. I thank Lin for her dedication and enthusiasm, and the leadership that she has given to the agenda over the past years. I look forward to working with Philip, and know that he will bring energy and drive to this important work. I am delighted and honoured to be taking on the role of Civil Service Disability Champion, and to build on the work that Lin Homer has driven forward during her time as Disability Champion. She has set strong foundations, notably initiating the roll-out of the new central workplace adjustment service. I believe passionately that we can build on this work to further improve the engagement levels and working experiences of our disabled colleagues. As Disability Champion I believe that I have a key role to play in challenging and removing barriers experienced by disabled colleagues, to achieve our vision of a Civil Service that values the contribution of everyone, regardless of their background or visible differences. I will be taking an active role as Disability Champion, and look forward to engaging with disabled colleagues to obtain your views and insight on how I can best support you in my new role. Since I took on the role of Disability Champion in 2011, I have been actively championing the disability agenda across the Civil Service, striving to improve the engagement and experiences of our disabled colleagues. I have been delighted to work with so many colleagues equally dedicated to progressing diversity in the Civil Service, and am pleased to reflect upon some of our achievements: developing a new centralised reasonable adjustment service; expanding the learning offer around disability awareness; and establishing a new mental health project. However, we must not be complacent – there is still much to do. This is why I am delighted that Philip has agreed to take on the role of Disability Champion from April. I have been honoured to have had the role for the last 4 years, and while I am sorry to be stepping down, I look forward to seeing how further progress is made with the disability agenda. It is an exciting time for the Civil Service, with the Talent Action Plan providing real opportunities to make a difference, and I am eager to see how we can all continue to support the aim of creating a diverse and modern Civil Service. Well done for speaking up Janice. I feel your pain. I am severely Dyslexic and I feel that both the recruitment process and new PMR process both discriminate against my because of my conditions. I too have become depressed with the way that 2 of HMRCs key HR processes impact me and prevent me from reaching my potential. I raised my concerns with Mark Dearnley but was just told that the processes are not designed to discriminate against me. I replied saying they may not be 'designed' to descriminate against me, but the sad fact is they do. I have not heard back since. I will raise my concerns with Philip in the hope that my concerns are taken more seriously. Maybe if you place this Disability Rights UK report under his nose, he may be duly informed , and perhaps reach a different conclusion? Perhaps some senior managers are not aware that PMR is open to abuse ( I can't find a kinder word to say, because of the examples given below)..
Across 8 Departments disabled civil servants are 2-3 times more likley to be seen as "must improve". A study of PMR comments in the Home Office interesting It seems to suggest that feedback given whie non-disbaled staff , disabled staff and BAME relate to different criteria. If it is so that BAME are being marked for "consentietiousness and confidence" instead of hard performance data as their non-BAME peers , that smacks of instittional racism. I have two dodgy knees . If the report is correct , this could put me at risk of being seen as unprofessional. I find it appalling that the PMR system is abused in this way, largely because i expect managers, who are supposed to be professionals to act responsibly. It seems there is a running theme here because I too am a female who suffers from Adult ADHD, I too am educated to a high level having a HNC/D, BA (Hons), MA and Professional Certifications and I too am discriminated against because of the symptoms of my disability. I too have been driven to severe levels of anxiety and depression because of the treatment I have received at work in the Civil Service and my personal career has suffered as a result. Currently I am facing an impossible situation at work because of my disability but despite departmental promises and propaganda I received little support and I have seen nothing to give me hope that things will ever change. In my experience people either don't take Adult ADHD (as specially female Adult ADHD) seriously and the symptoms are deemed as personal performance failures, not symptoms of a disability but flaws that you have to overcome; or else! The culture towards all “Hidden Disabilities” is Dickensian and needs to change! One day I hope that people with disabilities are not seen as burdens but people with unique and valuable skill sets which when actively tapped, enhances the performance of the business but the Civil Service and Industry are a long long way from this. Please tell me what experence has Mr Rutnam of disabilities in his professional or private life ? It beats me that that the under represented are resigned to the lower grades & bear the brunt of criticisms in the much maligned PMR process. I find this to be an unwholly healthy state of affairs in this day & age. Where's the coaching or the inspiration? Hardly altruistic or inclusive. What exactly is the remit of the Civil Service Disability Champion? As a person with a disability who works as a civil servant, will Mr Philip Rutnam's role have any relevance to me? Will he be championing the Civil Service against people with disabilities or will he be supporting people with disabilities who need a voice when the Civil Service fails to live up to their own policies. I happened by chance on this blog due to there being a lull in phone calls coming into the DVLA Contact Centre. I too would like to voice my experiences regarding ladies of a menopausal age who can easily be discriminated against if we don't bring out our issues (sometimes embarrassing) with management. To date I have had some support within the DVLA making reasonable adjustments, but no real acknowledgment that menopause symtoms can and do effect my ability to do the job I was first trained to do some 13yrs ago. Although not a "physical" or "mental" disability I still feel there must be hundreds if not thousands of ladies who by mother nature have to go through these debilitating symtoms on a daily basis for years! Im a Civil Servant with a visual impairement and facial disfiugrement. On a personal level I have not been discriminated against in my 24 years in one CS department. However, I know lots of people who have including my husband, again in relation to the new PMR process. I firmly believe that some managers see disabled people as 'easy targets' for the lower PMR marking. However, they underestimate the power and determination of some disabled people who will fight for fair treatment and justice. I am a qualified life coach and in promotion and marketing of my business want to instill confidence into disabled people and make individuals more equiped to deal with the dirt that can get thrown at them. In 2015 i despair at some of the stories I have read on this blog about personal experiences and how this has made them feel. The world is embracing disability equality, why does it appear the CS are moving backwards? as the civil service is supporting disabled people will they get full pay including allowances ie shift allowance which is part of the pay when they have to have operations for the disablity and are off work for say 3 months as the operations will help with pain. Blind people are excluded from new government IT services.Please supply telephone numbers for this group of people. Common sense to those who know about disability. I have emailed every senior leader in my department no one will talk with me and the disability forums do not want to know, one write up tells you to go to your own disability net work to get help I did this only they can't comment on individual cases. Where do I go for support now ? I bet no one will care or talk with me! I will keep this blog updated ! My challenge to Philip Rutman look into my case and why my manager will not give me any adjustments for disability issues and was washed his hands of me by pushing for me to be dismissed.